We are headed for Uganda . And yes, Uganda is on the continent of Africa which is the same continent where the Ebola outbreak is on fire and out of control. Keep reading HERE. to help you put things into perspective and hear from someone who experienced first-hand an Ebola outbreak in Uganda. Her article is sensible, wise, "gospel-forward and life-giving." The team of three representing Take My Hand Uganda will be on our way soon as we respond to the call and the heart God gave us to reach out to this particular corner of the world. A tiny dot on the map that has our full attention and sense of urgency and compassion towards. We represent YOU as well as the heart of Jesus. YOU are an irreplaceable link in the chain that allows us to put action to the call. And we can't really thank you enough for praying and giving and supporting TMHU. October 26. The PROJECT PAGE will give you an easy way to donate through paypal or credit card. Soon we will be on our way and evidence of your giving will begin to show up in the photos we will share with you. We are GRATEFUL to be a part of this ministry and to have you along with us. 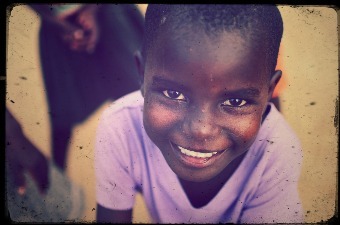 Our flights are booked and our itinerary for in Uganda is set! Friends from my church are selling candy bars for us to generate needed funds and I would like to take this moment to give them a high-five! And there are others of you out there collecting items for the care kits, funds for medicine and on and on it goes! We also need 100 matchbox cars to finish filling up the gifts we are taking with us for some of the kids we will spend time with along the way. Does anyone know where we can score 100 MATCHBOX or HOT WHEELS cars? Or maybe someone out there would like to donate some or all of them? Or even five of them? We need the good, heavier, better quality ones that can stand up to some heavy driving. The cars have been donated. Thank you!!! (photo was taken by Valerie Beth Carbaugh. And the little girl's name is Mary. 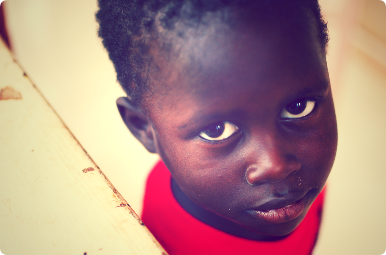 She is one of the children you are praying for and supporting. It's been a time consuming yet necessary process for TMHU to become a non-profit corporation and to be at a place where we can do more than file documents and hold decision making meetings. It's time to enlarge our small circle of joined hands and move forward into responding to the needs of some of Uganda's most vulnerable women and chilren. This is where we dig in and get our hands dirty in response to Deuteronomy 15:11, "For the poor will never cease from the land; therefore I command you, saying, 'You shall open your hand wide to your brother, to your poor and your needy, in your land.'" We are now set up to take contributions and donations to put towards helping vulnerable women and children in Uganda. As we develop our new program we have established short term and long term goals. 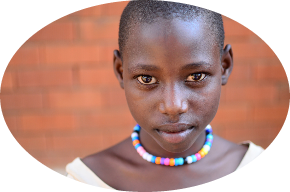 For starters we will be planning an upcoming trip to Uganda to begin establishing TMHU as a Non-Governmental Organization (NGO) in that country. In doing so, we will connect with other no-profits in Uganda that can be reliable boots on the ground and advise us as necessary on ways to reach out. Also, we are seeking out opportunities for one-on-one child and mother sponsorships; some of our favorite ways to connect you personally with those that are directly impacted by your generosity. Many of the children are right where we left them in November of last year and are at this moment simply in need of the very basics in life. They are going to bed hungry and at times thirsty. The rains have not come so their crops are not growing and their water supply is limited to a stagnant pool of water. They are sick. Vomiting. Wracked with high fevers. Dehydrated. 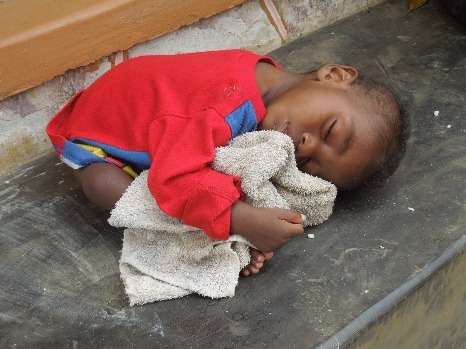 We simply cannot look away and settle with praying that God will meet their need. We have the ability and the responsibility to act on behalf of these children and be the answer to those very prayers. f) begin developing a strategic plan that includes specific steps to achieve the stated goals and objectives established by TMHU. 2. For providing emergency relief to specific women and children who are suffering from hunger and health issues both now and during the trip. Currently, donations for emergency relief are being provided for the children in Kyankwanzi for food and medical supplies, however we must acknowledge that until we go and visit, we are unable to guarantee that these funds are being used as intended. One of the goals of this trip is to work with local contacts and officials on securing a system to maximize the use of these funds for these women and chidlren. We will update the project page as donations are made for these current needs. Thank you for praying for us and for joining hands with us!